Beautiful and meticulously cared for home with exceptional views of Slate Mountain. A lawn area perfect for entertaining, a separate guest room with a lovely 'outhouse' for your guests to enjoy. Lots of knotty pine to leave no doubt it is a mountain cabin but with all the modern conveniences of home. 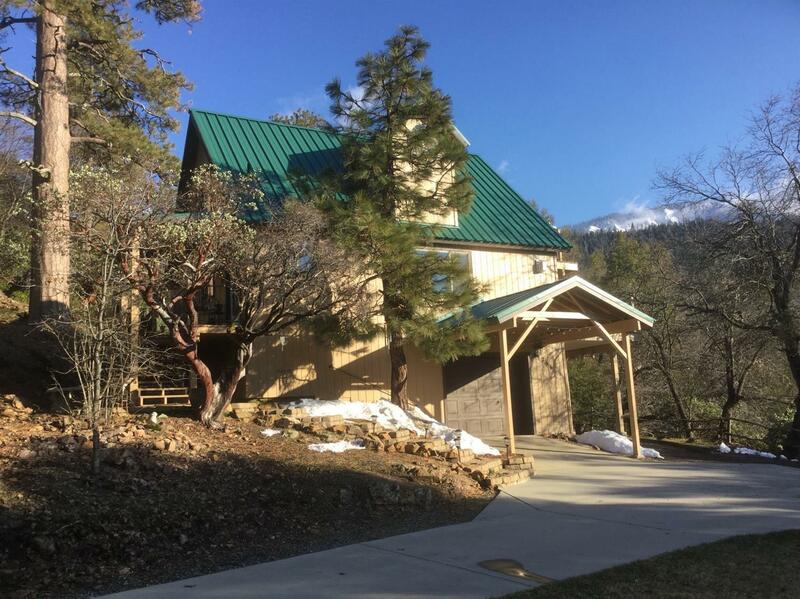 Close to all the forest and community amenities but secluded on a hillside with a seldom traveled road for access. You will hear the river at night and enjoy the view by day. Your own piece of paradise in the Sequoia National Forest.